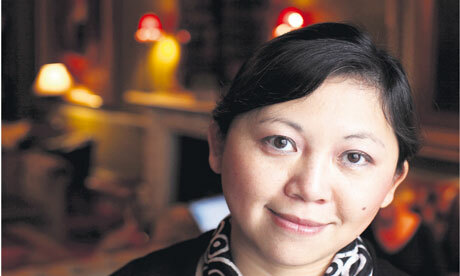 Yiyun Li, born 4 November 1972, is a Chinese American writer whose works include the short story collections A Thousand Years of Good Prayers, Gold Boy, Emerald Girl, and the novel The Vagrants. I think I’m just writing about human nature and it just so happens that my characters are Chinese. To write about a struggle amidst the struggling: one must hope that the muddling will end someday. What a long way it is from one life to another: yet why write if not for that distance; if things can be let go, every before replaced by an after. Oftentimes if a story didn’t work, I would rescue one character or two characters—or one paragraph—from the story and start all over. Which actually was very efficient for me, I think. You can spend so much time revising. When I first started writing, I thought a lot about the shape of the stories—do you have a triangle or a rectangle, or do you have a mirror image? Is one character a mirror image of the other? What variation did you do with the characters to make that interesting? I wish people would ask me about the importance of the imagination. I really believe that one should be able to imagine being somebody else. This is important for writers, but it’s also important for readers, and for all human beings to be able to imagine being somebody else.